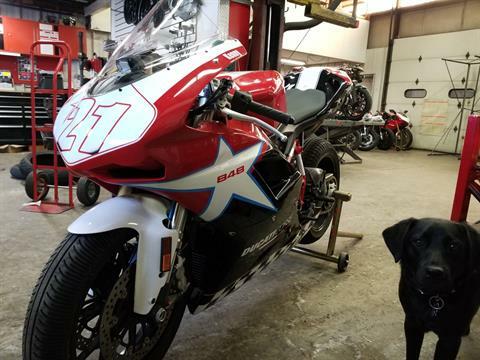 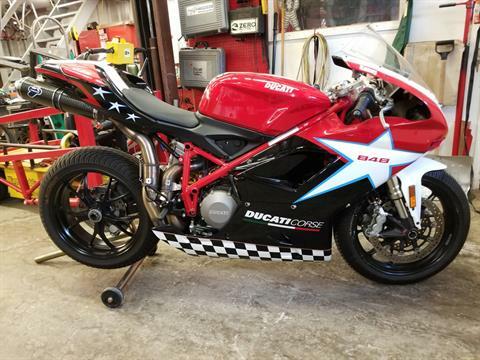 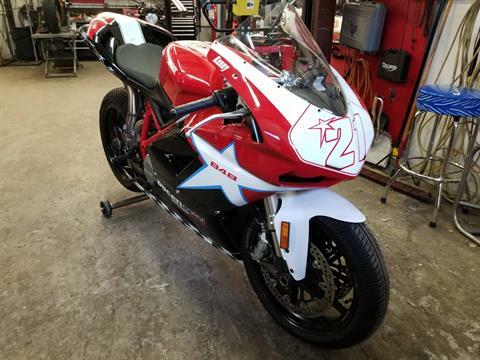 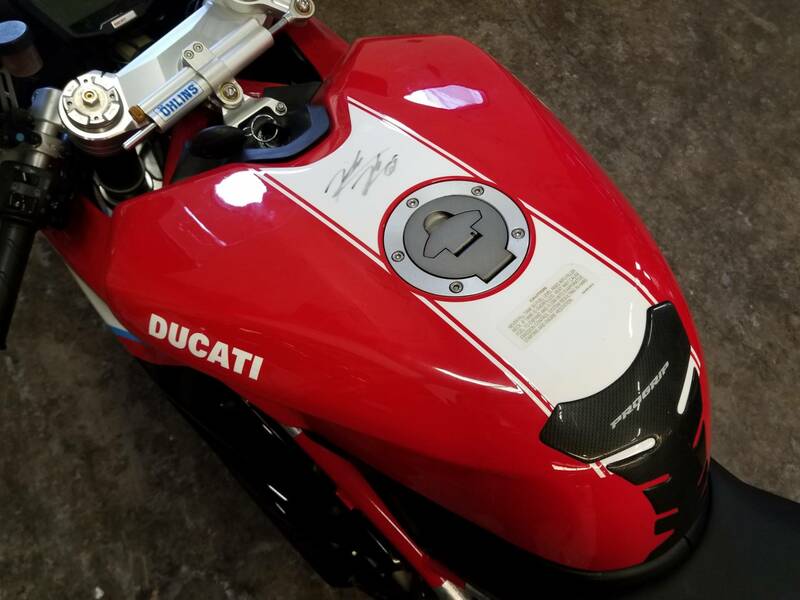 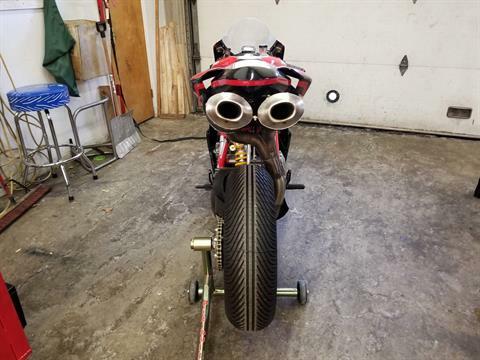 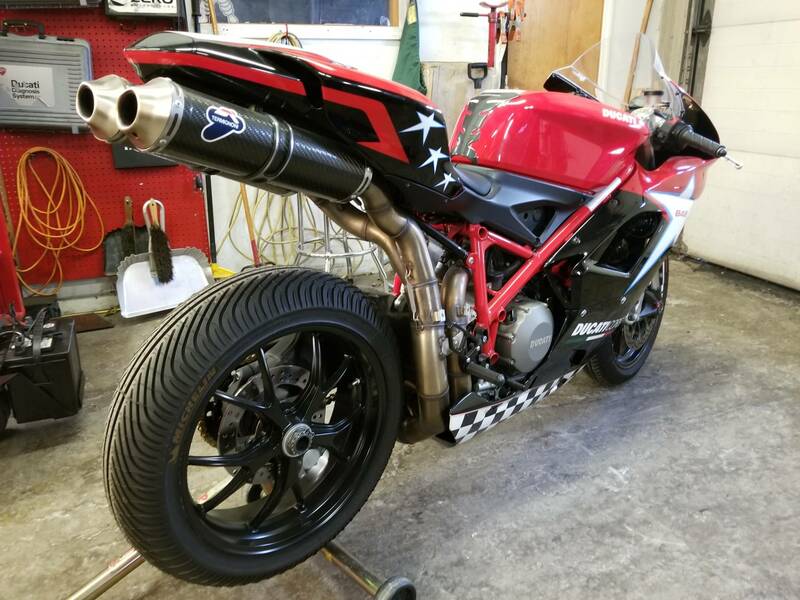 2010 DUCATI 848 NICKY HAYDEN EDITION BUILT TO RACE! Starlane GPS lap timer with lean angle and accelerometer, suspension potentiometer front and rear. Ducati performance termignoni full system from the headers back. Bazzaz traction control, programmable mapping, and quick shifter. 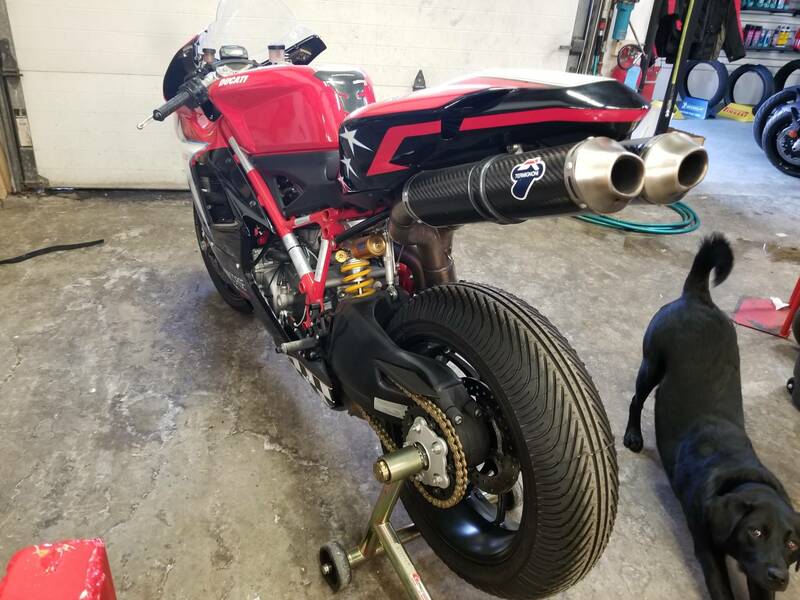 GP shift setup on Woodcraft rear sets. 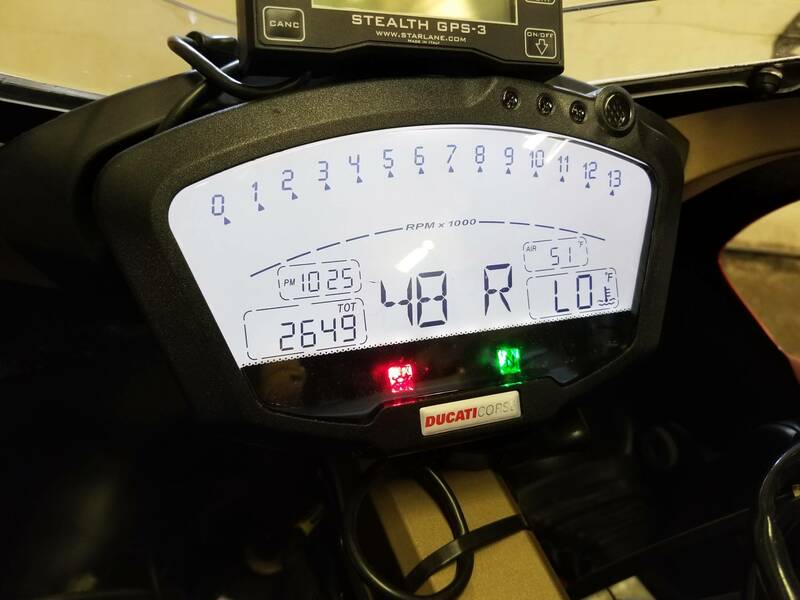 Only 2600 miles! 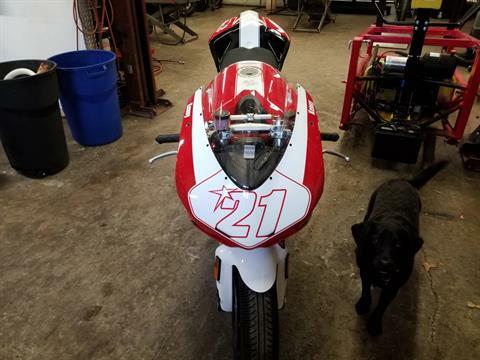 Nicky Hayden bike with signed tank! 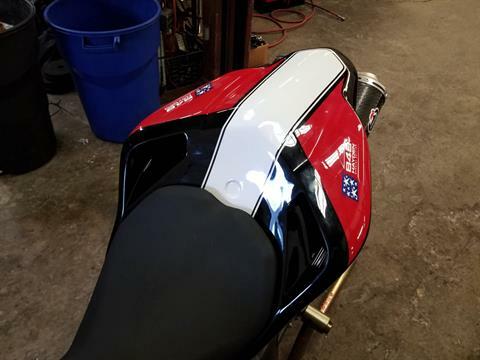 The rest of the body work is shark skins with Troy Bayliss # Painted by Peach Pit paint! This bike was built and yet to be ridden since!